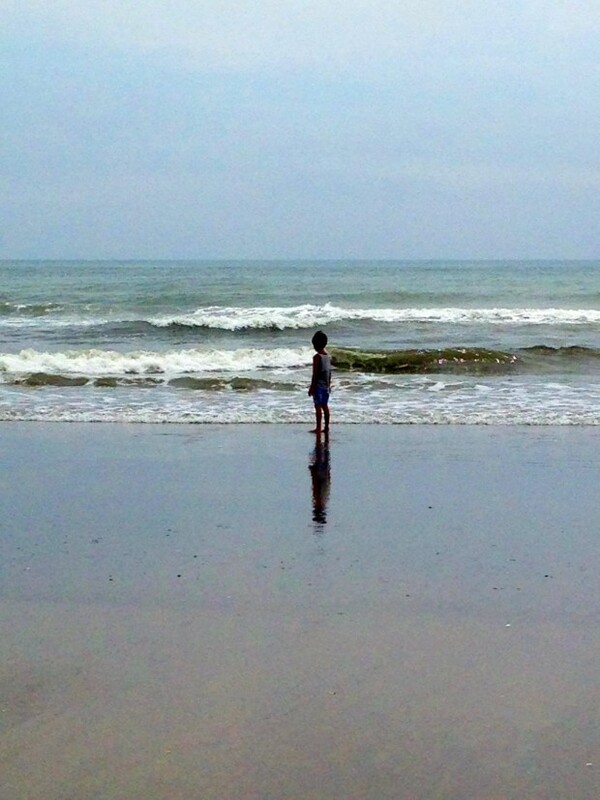 It’s March on the east coast, and despite intermittent chilling moments, the days are getting longer, the sun is shining brighter, and sure as Maine has lots of lobster, the buzz has begun for those nearing months ahead vacationing along the ocean shores. The New Jersey, Delaware, & Maryland Shores in the Philadelphia region tend as the most common weekend summer home destinations, with the Jersey shore being the most popular tradition, and easiest distance between. Of course, ‘easy’ is a relative term considering masses of people weekly merging onto highways often beginning on Friday’s and returning home at intermittent times each Sunday. #Traffic Jams. Depending on one’s interest, summertime activities nearby the ocean lend lots of fun possibilities, from relaxing days on the beach, strolls along boardwalks, washed wood lining sandy borders and tides of endless waves, to bike riding, boating, fishing, catching up with friends, eating seafood at restaurants, gathering for Happy Hours, even hosting a deck side summer time meal. And then there is one ‘shore’ interest most all folks share with similar preference when it comes to beach meals, namely, keeping the big oven dinners to a minimum. 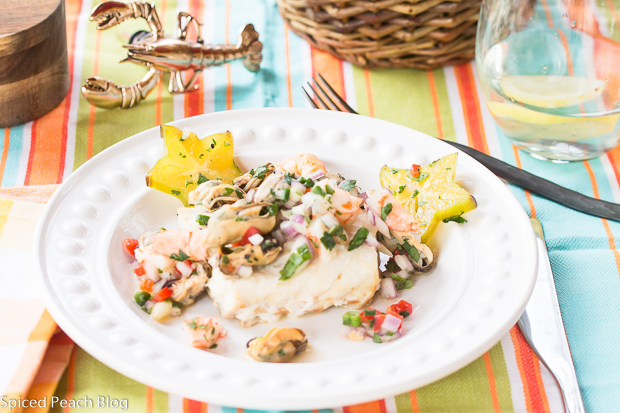 With this in mind, I’ve created one simple yet elegant beach entertaining recipe for your summertime dreaming and planning: Rockfish with Mussels, Shrimp, & Star Fruit Salsa, Toaster Oven Baked. This dish also provides the flexibility of using any fish filet of your choice. Today’s recipe for Rockfish with Mussels, Shrimp, & Star Fruit Salsa, Toaster Oven Baked idea sort of rushed in like a crashing wave, though quite tastily finished like the ease of seagulls scooping down to help themselves in the scavenging of foods off the beach, it all began eyeing 2 bright white packages thawing in my refrigerator labeled: ‘Rockfish.’ What? Who did it? Not naming names here or anything, but the fisherman of this household, whose annual tradition among the Dads of our now graduated college field hockey daughters, involves one select Rockfishing trip the week before Christmas with Miss Susie Charters Chesapeake Bay Charter Fishing in Solomon, Maryland, whereby seasonally reeling in precise allowed limits permitted of this culinary treasure, interestingly had an alternative menu plan in mind for these filleted ingredients whose status ranking in the house is as such: highly treasured for special occasions. Well, except having forgotten an already planned restaurant dinner with friends that evening, plus another dinner engagement the following night, I was nearly undone seeing the thawing Rockfish that then required a quick decision on something special to prepare involving far less timing than the interesting intended idea. The good part was that this happened around the arrival of a new appliance Hamilton Beach sent me for trying out: Easy Reach Toaster Oven. #EasyReach #Target. Hmm. Don’t you just love it when things come together? Two nice sized pieces of Rockfish enough to serve 4-6 fit comfortably on the Easy Reach Toaster Oven baking pan which I lined with heavy duty aluminum foil (easy clean-up.) The Easy Reach has a removable roll top door making it also very easy for clean- up and keeping the counter looking sharp avoiding that glass- front- door- splattered look, and besides it’s fairly lightweight, and doesn’t take up a lot of room. Although I don’t typically use timers, I found the timer beneath the temperature button rather handy, a perfect reminder when one is busy outdoors on the deck sipping cocktails. In this case, depending on the thickness of your fish, once the buzzer goes off all you need to do is remove your fillets and plate, generously topping off with the salsa, which was hopefully prepared hours before cocktail hour. When preparing Mussels, Shrimp, & Star Fruit Salsa you can also bake the shrimp in batches using the Toaster Oven, which I did. Of course, you will need a pot to cook the mussels, but then alternatively, you could just hop on down to the local fish place and order a ready cooked batch of mussels in white sauce, requiring then only removing the mussels from their shells and reserving their remaining liquor for the dressings finish. Mums the word. 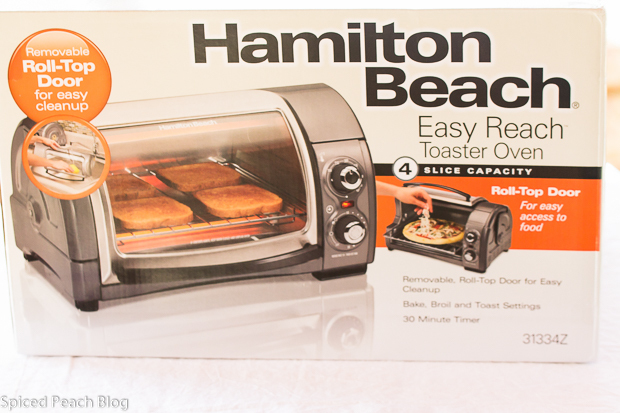 The Hamilton Beach Easy Reach Toaster Oven design and features, including the price point, (around 34.99- really!) is nice for everyday use on the kitchen counter, a college apartment, and of course, summertime beach home destinations, and with carefree worries and common sense ease of use even for weekly shore rentals. 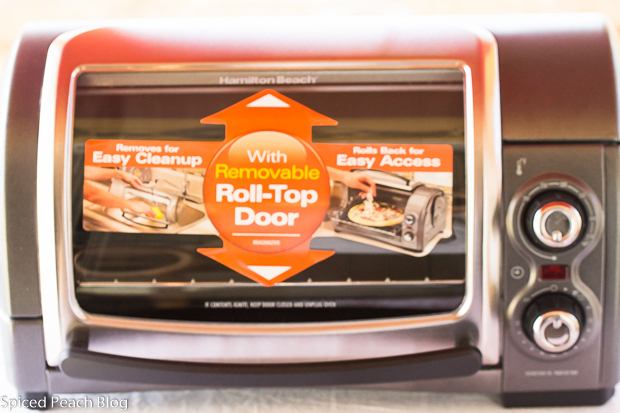 You can find the Easy Reach Toaster Oven at Target or where Hamilton Beach Products are sold. And oh, P.S. Doesn’t the star fruit look sort of like ‘starfish’ with the seafood in the salsa in the photo above? So tasty and colorful too, in all matching fabulously over the treasured fresh caught ingredient: Rockfish, while also ultimately lending some cheer to that east coast buzz in the month of March, dreaming about those summer days ahead with sunny beaches at ocean shores. Hamilton Beach sent me the Easy Reach Toaster Oven to try out, opinions of the appliance within this Post are my own. 1. 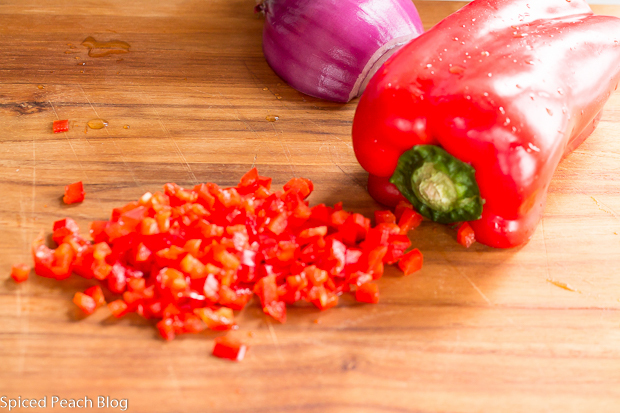 Add red pepper, red onion, jalapeno, scallions into a large glass bowl. 2. 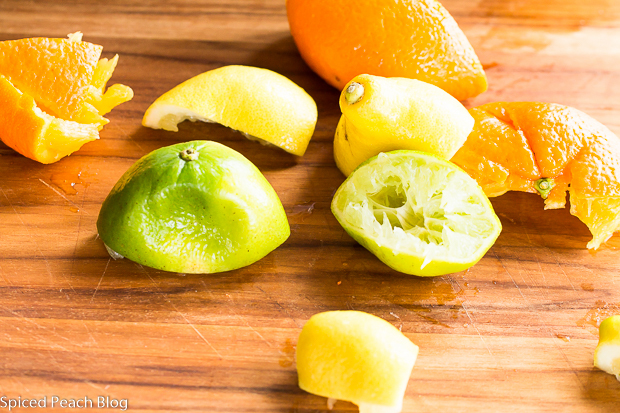 To another bowl squeeze the juice from the oranges, lemon, and lime, strain, or remove any seeds. 3. Clean mussels and pull off beards from the sides. 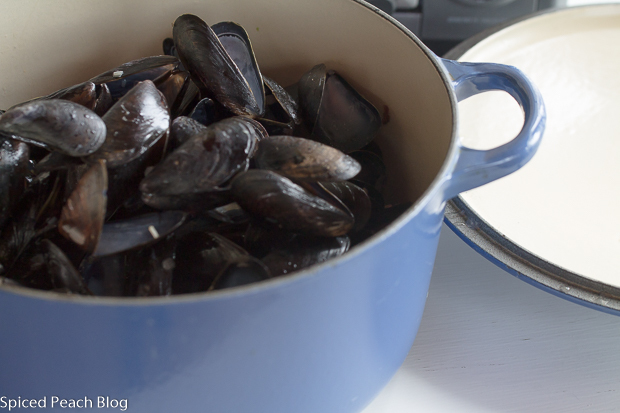 Add oil to a pot that has a tight fitting lid large enough to comfortably fit all the mussels. Sprinkle in the shallots and garlic cooking on very low heat for about 3-4 minutes until softened. Pour in the white wine, increase heat and cook until boiling. Tumble in the mussels, secure the lid, cook around five minutes or a little longer, lifting the lid, stirring, making sure all of the shells are open. Once the mussels are cooked, discard any that have not opened, let cool to the touch, reserve the mussels liquor to another bowl, remove meat from shells, stir into the bowl with the vegetable mixture. 4. Preheat Toaster Oven for five minutes, line the baking dish with heavy duty aluminum foil place shrimp on top, bake in a couple or more batches to avoid overcrowding pan, cooking until pink and just done, around 5 minutes or so. Remove shrimp to a plate to cool to the touch, reserve one or two whole shrimp per platter for garnish, chop remaining shrimp into small bite sized pieces, add to mussels and vegetables in glass bowl. 5. Pour orange, lemon, lime juices into the salsa mixture, stir well, sprinkle in salt and pepper. Add 5 tablespoons of the mussel liquor, stir, taste, adding another one or two tablespoons to taste if preferred. Sprinkle in the cilantro, blend throughout then stir through the star fruit. 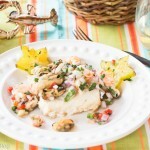 Cover salsa with plastic and refrigerate until ready to serve a top of baked Rockfish. Line the baking sheet of Toaster Oven with heavy duty aluminum foil. 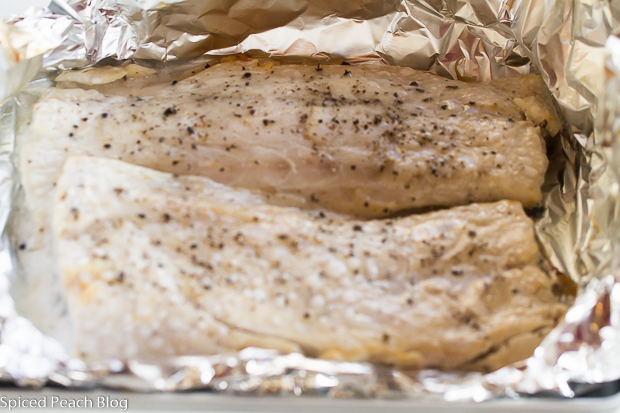 Place another sheet of heavy duty aluminum foil on top of the first sheet enough to bring up to the sides of the fish. Lay Rockfish on top, brush with some of the remaining mussel liquor, sprinkle with a pinch each salt and pepper. Set the temperature on the Toaster Oven to 350 degrees on timer for thirty minutes, then re-setting for another five to ten minutes until Rockfish is cooked fully through. Plate pieces of fish, spoon over the Mussels, Shrimp, and Star Fruit Salsa. Dip reserved whole pieces of shrimp into the salsa liquid, garnish a top cooked fish along with a couple pieces of decoratively arranged star fruit. Toaster Oven cooking times may vary by thickness of fish with a thicker cut as Rockfish requiring about 35 minutes or so. Check thinner cut fillets of fish for doneness after twenty minutes. This entry was posted in Artisans- Farms -Markets-Chefs- Journeys, Fish and tagged @Target, #EasyReach, Hamilton Beach, Hamilton Beach Toaster Oven, Maryland Rockfish, Rockfish, Rockfish with Mussels Shrimp & Star Fruit Salsa Toaster Oven Baked, Toaster Oven Rockfish with Mussels Shrimp & Star Fruit Salsa. Bookmark the permalink. Post a comment or leave a trackback: Trackback URL. The salsa for this fish dish whispers of spring and summer. I have never had rockfish, but I suspect it would work well with any white fish. Thanks for sharing this, Peggy! I love the look of the starfruit on the plate. Hi Kelly, Thanks so much! The salsa is amazing and as I had some people taste it happening by- it was so popular that I even considered changing out and increasing the recipe amounts. The Toaster Oven really did make things easy when thinking about casual summer gatherings. Peggy, this looks fantastic and another good idea using the star fruit in the salsa. I’ve never had starfruit but I will give it a try with the recipe. I like the way you used the toaster oven. See you around. Another good idea Peg. I love the mussels and shrimp with the star fruit, it is all so colorful. I printed this out for Sea Isle this summer. I might pick up the mussels in white sauce to make it even easier, will definitely make the fish in the toaster oven. Thanks for the idea (insert smiley face). Hi Arlene, so pleased to see you and thanks for commenting!!! I think you will love the salsa over the seafood it really is so delicious and so colorful and pretty with the star fish. The Toaster Oven is great for this dish in the summer! And nothing wrong with you buying the mussels already cooked, it does make things easier down the shore, remember to save the whitesauce because you will use some of it in the dressing and brush some of it on the fish before cooking. Enjoy. Thanks again. 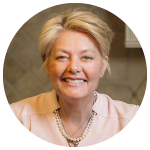 Hi Peg, really interested with the recipe. Will print it out and try in my kitchen. Thank you Linda! Please let me know what you think! Enjoy.